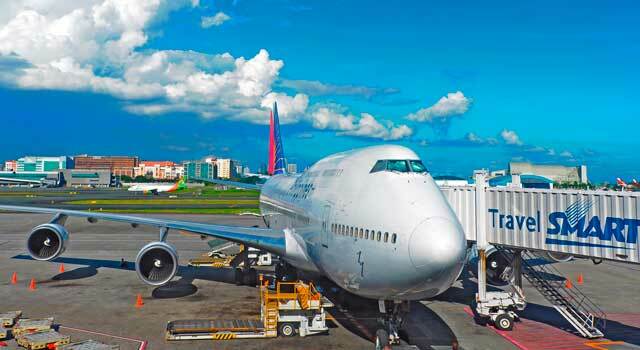 Use this website to quickly find the most important information about Manila Ninoy Aquino International Airport or NAIA Airport: Flights (Departures, Arrivals andDelays), Parking, Car Hire, Hotels near the airport and other information about Manila airport. 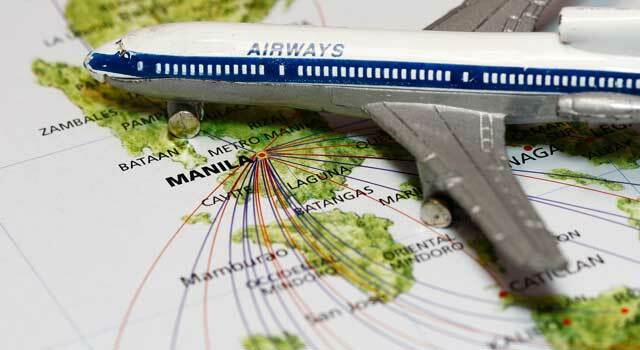 Plan your travel to MNL Airport with the information provided in this site. Check Manila Travel Guide at Bautrip for more information about Manila. About the name. Manila Ninoy Aquino International Airport is named after Senator Benigno "Ninoy" Aquino Jr., assassinated at the airport in 1983. Officially, NAIA is the only airport serving the Manila area. However, in practice, NAIA and Clark International Airport as well -located in the Clark Freeport Zone, in Pampanga- serve the Manila area. 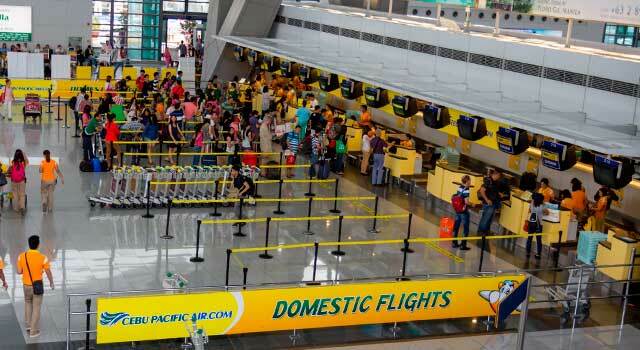 Clark caters mostly to low-cost carriers that avail themselves of the lower landing fees than those charged at NAIA. In 2017 the airport served 42 million passengers. NAIA is located along the border between Pasay City and Parañaque City in Metro Manila. It is about 4 miles (7 km) south of the city, and southwest of Makati City's Central Business District. These figures make the airport be positioned among the 50 world’s busiest airports by passenger traffic. In fact, since 2010 Manila’s airport has held this position, above or below. The airport is also relevant in terms of cargo volume. In 2015 managed over 460 tonnes of cargo. - Naia Terminal 1: Manila Airport Terminal 1 serves international flights from several airlines. It has 16 gates: 1-7, 9-12 and 14-16. - Naia Terminal 2: Manila Airport Terminal 2 currently houses international and domestic flights of the country’s flag carrier: Philippine Airlines, PAL Express and other airlines. The building has an arrowhead design with with six-storeys. It is divided into two wings: North wing for International Flights, South wing for Domestic Flights. - Naia Terminal 3: Manila Airport Terminal 3 serves the internatonal flights not served at Terminal 1 and some domestic flights. 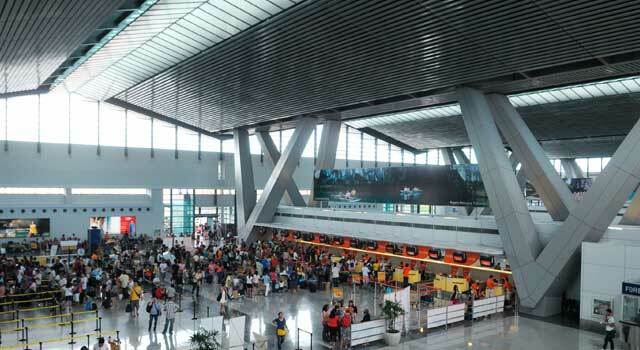 Is the newest and largest terminal in Naia Airport. - Naia Terminal 4: Manila Airport Terminal 4 hosts flights from local and regional carriers such as Cebgo. It is the oldest terminal in the airport and spreads into a single level. - The airport is known as NAIA (Ninoy Aquino International Airport). There is a shuttle bus system which connects all terminals for passengers who have connections on flights departing from another terminal. Is required to clear customs and immigration. Frequency of 15 minutes. - Bus. Several bus services run continuously between Manila Airport Terminals and downtown. - Rail. By The Light Rail Transit System (LRT) is safe and sound getting to Manila! - Taxi. Airport taxis are at your disposal 24/7 outside any of the Naia Terminals. - Car Rental. Car rental services are available at Manila Airport Terminals. You can also book your car through our search engine, give it a try!